In order to cater to the diverse requirements of honorable clients, we are able to offer Industrial Heat Exchanger. The offered range of industrial heat exchangers is made utilizing high grade raw material and highly advanced technology in strict compliance with the international quality standards. Along with this, the offered range of industrial heat exchangers is suitably tested on different characteristics to ensure that flawless products are delivered at customers' premises. Our offered range of excellent quality Marine Heat Exchanger is manufactured using superior-grade raw material and components that are procured from the authorized vendors of the market. Widely known for their corrosion resistance finishing, these marine heat exchangers are manufactured by our experienced engineers by employing cutting-edge techniques and technologies. 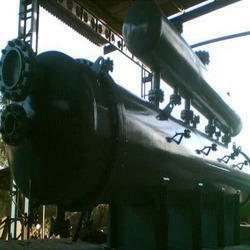 We are an eminent name, which is engaged in delivering Gas Heat Exchanger to our clients. The offered range of gas heat exchangers is designed & developed utilizing high grade raw material and highly modern machines in strict tandem with the industry laid norms and standards. Along with this, the offered range of gas heat exchangers is suitably checked on different parameters to ensure that defect-free products are delivered at clients' premises. 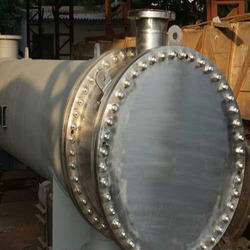 We are a prominent name, which is engaged in delivering an unmatched range of Tube Heat Exchanger. 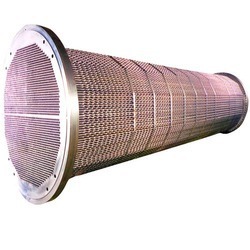 The offered range of tube heat exchangers is manufactured utilizing high grade raw material and innovative techniques in strict compliance with the international quality norms. Along with this, the offered range of tube heat exchangers is suitably checked on different characteristics to maintain its authenticity throughout the designing process. We are profitably ranked as the prominent manufacturer and supplier engaged in offering excellent quality High Pressure Heat Exchanger. The offered heat exchanger has unique ability to handle two highly fouling fluids. 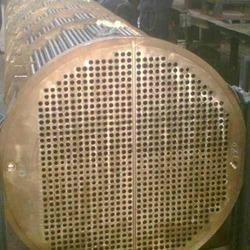 This heat exchanger is manufactured using modern technology as per with quality standards and compliances. Along with that, our offered heat exchanger is available in various specifications to attain maximum satisfactions for our esteemed patrons. 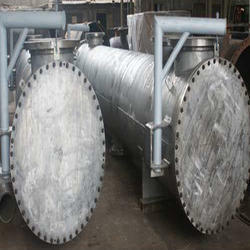 Quality checked material is used for the manufacturing of these Large Heat Exchanger. Light in weight, these heat exchangers are light in weight and easy to use. Reliable in working, these heat exchangers are durable and finely prepared under the guidance of professionals. 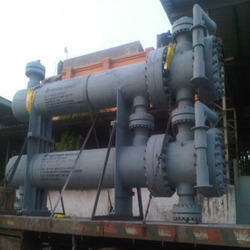 Professionals have checked these exchangers on different parameters. SKI offers both Shell & Tube (SHT) and Plate Type Heat Exchangers (PHE) for specific process applications. cGMP & Sanitary designs for Pharmaceutical & Biopharma applications. Multiple Pass Heat Exchanger Designs. PHE for offers higher heat transfer area thus reducing the size of Heat Exchanger for large flow applications. Completely drainable product side in SHT. Our customers can avail a superior range of Refrigeration Heat Exchanger. The offered range of refrigeration heat exchangers is designed & developed utilizing premium grade raw material and modern machines in strict conformation with the highest quality norms and standards. Moreover, the offered range is tested on numerous characteristics so as to ensure its compliance with the industry laid norms and standards. Aerotherm Products specializes in design and supply of condensers and Nuclear Power Plant Heat Exchanger for high pressure and high temperature applications such as boiler feed water pre-heaters, for all types of power plants and special equipments for all circuits for nuclear power plant. Aerotherm manufactures Heat Exchangers for Nuclear Power Plant for pressure ratings up to 600 bar and operating temperatures of 1000 deg c and in specialized materials like nickel alloys and stainless steel construction. Our domain expertise has enabled us to come up with a comprehensive range of quality-assured Parallel Heat Exchanger. The offered range of heat exchangers is manufactured by our professionals using superior-grade carbon steel, stainless steel, low alloy steel, HIC & NACE, nickel alloy and SSCC resistant steel. 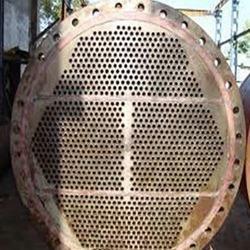 Offered heat exchangers are highly acknowledged among the clients for their durability, corrosion & abrasion resistance and sturdy construction.